Ceiling lights are more important in the home than ever. Chosen correctly they can be a statement piece of there own or compliment other furniture pieces. We have such an extensive range of wall lights available, they can be chosen to suit your choice of ceiling lights. Pendant lights provide that "Home Magazine Look!". You can use single or multiple pendant lights within your kitchen above a breakfast bar or work top as additional task lighting or purely for styling. 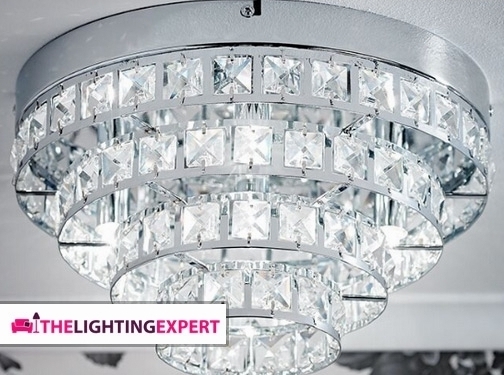 Chandeliers are available in glass, crystal and lead crystal, they provide a touch of luxury within the home. With many sizes made from different materials you can choose to suit your budget. Outdoor lighting can provide a fantastic mood setting within the garden by utilising a mixture or different light fittings for both task and accent lighting. UK (Oldbury, Birmingham) based business providing lighting products for sale. Website includes e-commerce facilities, delivery and returns information, terms and conditions, testimonials (via reviews.co.uk), details of business premises (including photos), associations belonged to, regularly updated blog, full contact details.